Bug out bags are for disasters that strike without warning. If you wake up in the middle of the night to the sound of your world falling apart, all you’ll have time to do is grab your bag (or bags if you have a family) and hit the road. The ability to pack up and leave in a matter of minutes will make it possible for you to beat the traffic and get to a safe location before it’s too late. Bug out bags aren’t just convenient; they’re lifesavers. However, there are a few rules that apply to every bug out bag, no matter what items you choose. Here are 9 tips for packing your bug out bag. When packing your bug out bag, it’s tempting to throw everything but the kitchen sink in there. But if you have too many items, you’ll be digging around through things you don’t need and struggling to find what you’re looking for. In an emergency, you want find what you need quickly, so avoid packing non-essential items. This is closely related to the previous tip. If your bag is too heavy to carry for long distances, you’ll end up having to remove things anyway, so you may as well pack light in the first place. I recommend a bag that weighs about 15% of your body weight (20% if you’re in good shape). If you’ve already removed as many non-essential items as you can and your bag is still a little too heavy, look for lightweight alternatives to some of your items. One tip many people forget is to leave room in your bag for whatever needs may arise. You may find yourself needing to use your bag to store foraged items, from firewood to ammunition to food and water. In case that happens, buy a good-sized bag so you can leave some extra space. Pack your bug out bag with your environment in mind. While this quite literally can mean having detailed topo maps of your area, it also means you should plan for the type of environment you’ll be in. If you live in the city, you’ll likely want to carry a few things that you wouldn’t if you lived in the middle of the Mojave Desert, like fire hydrant and gas main wrenches, or dust and gas masks. Similarly, if you’re planning on bugging out to a remote location, you may want to include items such as a tiny fishing kit and bear repellent. Whatever the environment, make your preparations accordingly. Think about your self-defense in terms of mobility. 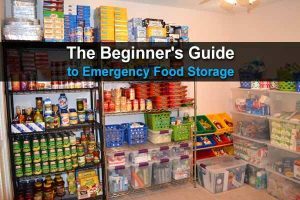 In an ideal situation, you should be able to enter an emergency scenario with your bug out bag and a first-choice firearm and a melee weapon, but you might not have the luxury of doing so (and you may find that these extras weigh you down more than you thought they would). For this reason, the self-defense in your bug out bag should be small and light. A good option for this is a .22 subcompact pistol, capable of defense and even hunting in a pinch, but small, light, and requiring lightweight ammunition. A heavy weapon will do you no good if you sacrificed space to take it instead of something more important, like a raincoat a hand radio. Efficiency will take you farther than anything when packing your bug out bag. 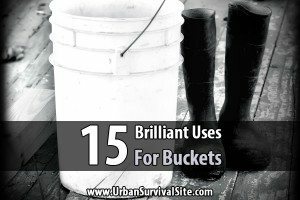 Make a list of tasks your bug out bag should accomplish (e.g. provide shelter, water, food, communication, etc.) and try to pack items that will accomplish more than one of these items. Many people think of multi-tools in this case, and while multi-tools can be great, they are not the only items to pack that serve more than one purpose. For instance, a hatchet can be a great option for multiple functions: you can use it to cut, you can use its blunt force as a hammer, you can use it for defense, and you can use it to strike a spark to make fire. How you pack your gear is also important. You may have to carry your bag for miles at a time, which means you should use physics to your advantage. Pack heavier things closer to the side of the bag that rests against your back, and toward the bottom. This will place the weight as closely as possible on your hips, allowing you to lift using less effort. In addition, pack often-used items in more accessible places like side pockets or at the top of your bag. 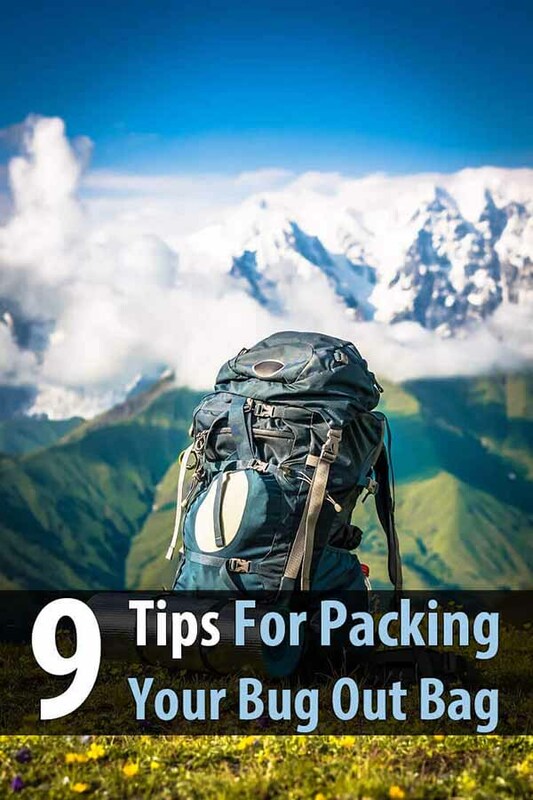 If possible, get a bug out bag that has a zipper at the bottom of the bag as well as the top, so you don’t have to unpack the entire bag to access things at the bottom. You may have heard the saying, “two is one, one is none.” If not, the idea is that if you only have one tool for, say, starting a fire or purifying water, you may as well have zero because that tool could become lost or broken. It’s important to have a backup. And I don’t mean two of the same thing. 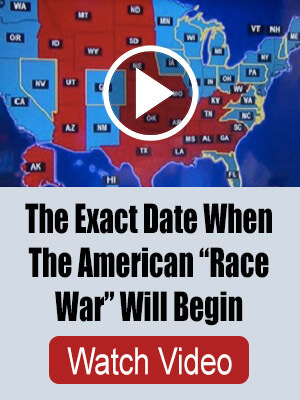 If one tool breaks, then odds are an identical tool is going to break, too. So instead, you should have redundant capability, not redundant gear. For example, if you have a lighter, you should also have a magnesium fire starter. And if you have a water filter, you should also have water purification tablets. 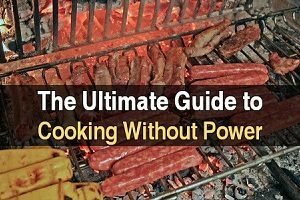 You don’t have to have redundant capability for everything, but you should for the really important things like fire, water, and light. 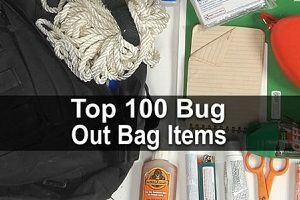 Maintaining your bug out bag is easy to do, but it’s also easy to neglect. At least every six months you should go through your bag and make sure the food is still safe to eat and that everything works. If you packed your bag five years ago, chances are some of the supplies are no longer usable. If you practice using the gear in your bag, you won’t have to worry about whether you’re checking it often enough. Just go on a camping trip at least a couple times, take your bug out bag, and make use of everything. Then you’ll know everything is in order and gain experience at the same time.